Here's to another successful semester! • Read the student handbook to answer any program-related questions you have and find forms and other useful resources. 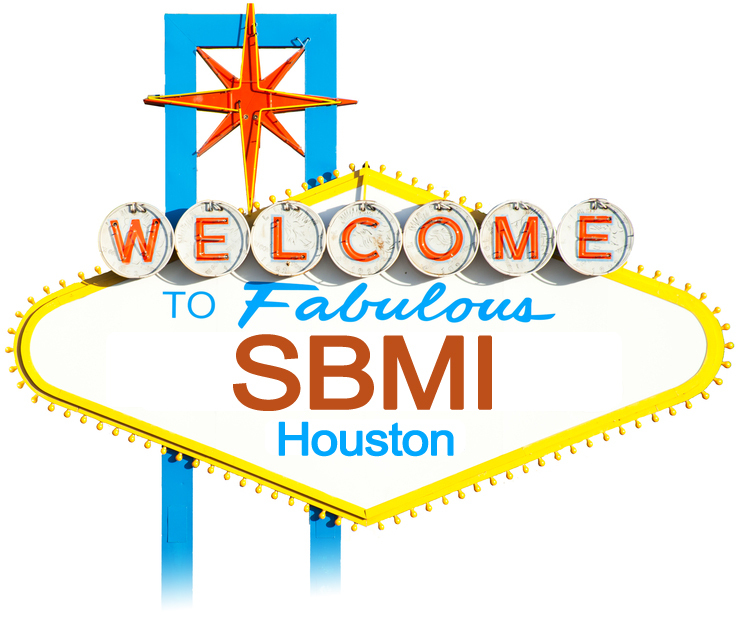 • Follow SBMI on Twitter, Facebook, YouTube, Flickr and Pinterest for updates, industry trends, news, event information and photos. • Visit Moodle, the school’s online course management system, where you will receive school updates and have access to course materials. Any technical questions can be sent to de@uth.tmc.edu. • Download the SBMI Moodle mobile app for your android device, iPhone and iPad. • Peruse the student resources webpage, which lists all of SBMI’s technology and educational resources. • Check the job opportunities webpage for internal job postings like fellowships or research and teaching assistant positions. • Join SBMI’s LinkedIn group to connect with fellow students and alumni and view external job opportunities in biomedical informatics and health information technology. • Look over the course offerings and textbook list at the end of each semester to learn what courses will be offered in the future and what books are needed for the courses. • Learn about the SBMI Student Governance Organization and the student leaders who are here to serve you, the students. Students interested in becoming officers next year can run for office in the spring semester. • View the SBMI calendar for dates and times of research seminars and events in the Texas Medical Center. The Office of Academic Affairs staff can help you with any questions or concerns regarding your studies. Visit the Academic Affairs staff in UCT Suite 650, call them at 713.500.3591 or email them at SBMIAcademics@uth.tmc.edu. Good luck on your educational endeavors at SBMI this year! SBMI had six new graduates for the fall 2013 semester. Congratulations graduates and good luck in your future endeavors! SBMI students, the Bursar’s Office has made 1098T forms available online this year. If you are a U.S. citizen or have a citizen status of “alien permanent” and have made tuition and fee payments between Jan. 1, 2013 and Dec. 31, 2013, you will be able to view and print your 1098T form via your MyUTH account. If you meet these qualifications, you must log on to your MyUTH account and grant consent to receive the form online prior to Jan. 25. Follow these instructions to grant consent: 1) log on to your MyUTH account, 2) go to the student center, 3) under the blue finance bar, select account inquiry, 4) select the account services tab, 5) select the 1098T tax form tab, 6) under the message in the blue box, click the green grant consent button, 7) check the agreement box, and 8) click submit. After Jan. 31, you will be able to log on to MyUTH and view and print your 1098T form from the 1098T tax form tab. You will not receive a 1098T form if 1) your tuition and fees were waived due to an exemption or waiver, 2) you do not have a social security number on file, 3) you are not a U.S. citizen or permanent resident, 4) you haven’t remitted any payments in the 2013 calendar year, or 5) your tuition and fees were made by a third party. Please contact the Bursar’s Office with any questions at 713.500.3088 or Bursar@uth.tmc.edu. Space Health Challenge has lift off! Health 2.0 Houston is hosting a hack-a-thon to tackle space travel's most intriguing health problems Feb. 7-9 at Rice University. Local innovators, experienced engineers, programmers, designers and scientists will be in attendance. Houston’s Johnson Space Center provided the real world challenges for the event. The cost is $20, but space is limited, so sign up today on the Space Health Challenge website. You’ll collaborate with researchers from NASA and some of the best health innovators in the country to keep astronauts healthy in space as well as develop solutions to improve the health of individuals in remote parts of the world. 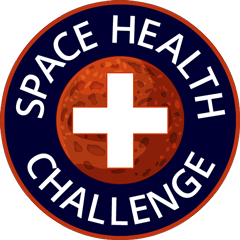 Challenges will be released weekly on the Space Health Challenge website and on Twitter @SpaceHealthHTX. The first two challenges are 1) Saving Time to Save Lives: Emergency Procedure Representation and 2) Locating lost items: I spy in space. The mission for the first challenge is to create an interface that will guide astronauts through standard protocols used in emergency situations to enable smooth execution and minimized hesitation. The mission for the second challenge is to develop an application that automatically locates misplaced items on the space station via advanced video processing. SBMI sponsored 10 students to attend the hack-a-thon free of charge. The students were picked on a first come, first served basis after an email was sent from Academic Affairs. SBMI students who won sponsorships include: Angel Guevara, Evan Bernard, Lilian Turcios, Melissa Resnick, Nasim Rezanejad, Mandana Salimi, Edward Elms, Chioma Odo, Stephanie Tucker and Eric Bigelow. Congratulations students, and have fun at the event! James P. Turley, PhD, RN, retired associate professor at UTHealth School of Biomedical Informatics, recently formalized a planned gift of $1 million to establish the James Turley Memorial Endowed Scholarship for Global Health at the School of Biomedical Informatics. The James Turley Memorial Endowed Scholarship for Global Health is a permanent endowment that will be established to benefit SBMI. 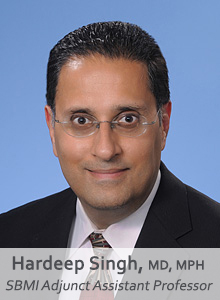 The funds distributed from the endowment will be used to provide scholarships to students in good academic standing with a preference for international students who intend to practice in their home country and U.S. citizens and permanent residents who intend to practice outside the U.S.
Six SBMI alumni and one SBMI assistant professor became board certified in clinical informatics effective Jan. 1, 2014. The board exam was administered last October through the American Board of Preventive Medicine (ABPM) and offered through the American Board of Pathology. In 2011, the American Board of Medical Specialties approved the clinical informatics subspecialty — an effort spearheaded by the American Medical Informatics Association (AMIA), which observed the need for more trained Health IT professionals. Open to physicians from all specialties, clinical informatics board certification fosters interdisciplinary cooperation. Presently, physicians can become eligible for the exam by demonstrating practical informatics experience. However, beginning in 2018, applicants for certification in clinical informatics must successfully complete a minimum of 24 months in an ACGME-accredited clinical informatics fellowship program. SBMI also offered scholarships to 35 new students. The new student scholarships were awarded to 15 certificate students, who received $1,000 each, and 10 master’s students, who received $2,000 each. Congratulations to all of the student scholarship awardees this semester! Dean Sittig, PhD, SBMI professor, Hardeep Singh, MD, MPH, SBMI adjunct assistant professor and Joan Ash, PhD, from Oregon Health & Science University recently completed development of the Safety Assurance Factors for EHR Resilience (SAFER) guides. The guides identify recommended practices to optimize the safe use of EHRs. The Office of the National Coordinator for Health IT (ONC) recently posted these guides to their website for any organization or practice to use. In early January, reporter Alex Ruoff interviewed Sittig about the SAFER guides for Bloomberg BNA — a source of legal, tax, regulatory and business information for professionals. The story is expected to be published in the coming weeks. CMAJ featured Sittig in an article on SAFER and HIStalk interviewed Sittig about the guides. The fight against cancer is getting more personalized every day. Researchers are finding new ways to analyze specific genes in tumors and use more targeted therapies that can mean better outcomes for patients. But along with the new flood of information, comes challenges for clinicians trying to make sense of it. Here's the good news: researchers are getting a lot better at analyzing tumors at the molecular level and what they see are often different characteristics, even in tumors of the same type. But here's the bad news: it's virtually impossible for a practicing clinician to sift through all that new information in a practical way. 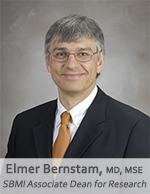 That's where Elmer Bernstam, MD, MSE, comes in. He's a professor of biomedical informatics at UTHealth here in Houston. He's also part of a new three-year grant funded by the National Institutes of Health to solve the information problem. "Information is being generated at a very rapid rate,” said Bernstam. “So, for even a smart oncologist in practice that sees a lot of patients, it's very difficult to keep up to date with all this information. Thus, there's a great need in putting together all the information that's being rapidly acquired so that decisions for each individual patient can be made better." Noriaki “Nori” Aoki, MD, PhD, an SBMI associate professor of biomedical informatics, died Sunday, Jan. 5 at the age of 47. 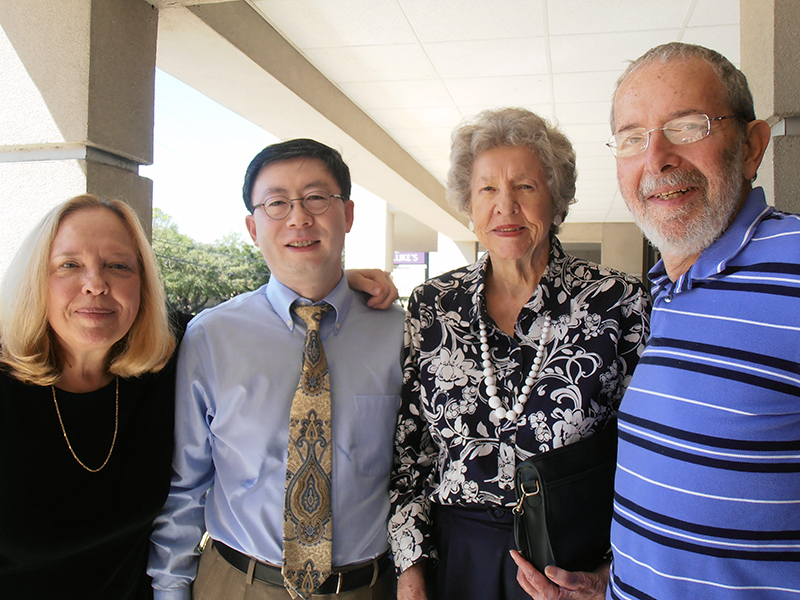 SBMI is working with Aoki’s friends, former students, collaborators and fellow faculty members to commemorate his life and myriad accomplishments by permanently establishing The Dr. Noriaki Aoki Fund. This resource will benefit outstanding graduate students across a broad spectrum of needs, including scholarships, travel costs associated with conferences, practica in the U.S. and abroad, and national and international research projects—as well as other costs associated with a student’s comprehensive educational experience. SBMI Dean Jiajie Zhang, PhD, invites the SBMI community to celebrate Aoki’s life and work by contributing to a fund that is emblematic of his spirit and mission of service in the field of informatics and clinical practice. Although other memorials may be held, SBMI plans to honor Aoki at the school’s commencement ceremony on at 4 p.m. Wednesday, May 8 in the Sarofim Research Building Auditorium. At that time, the establishment of The Dr. Noriaki Aoki Fund at SBMI will be formally announced. The goal is a modest $100,000; however, a larger fund would mean greater impact for our students. Hua Xu, PhD, associate professor and holder of the Robert H. Graham Professorship in Entrepreneurial Biomedical Informatics and Bioengineering at SBMI, recently received an IBM Faculty Award, which will fund a project throughout 2014. The project, “Unlocking Information in Clinical Narratives through Natural Language Processing (NLP) Statistical Parsing of Medical Text,” seeks to develop and evaluate statistical approaches to parsing information in patient records. Within the first four months, Xu and his group will build a Treebank of clinical text containing 100 hospital discharge summaries. During the following four months, the researchers will compare four state-of-the-art parsers on clinical text, including the Stanford, Bikel, Charniak and Berkeley parsers. Finally, they will develop methods—based on IBM’s software packages—to handle ungrammatical sentences and predict missing elements in clinical text. The software and corpora developed over the course of the project will be released for public use. From decisions on fetal surgery to dental education for pediatric cardiologists to moral distress among nurses and doctors, nine studies sponsored by UTHealth have received grants to explore the ethical intricacies shared by different health care professions. The grants are funded through the Program in Inter-professional Ethics at UTHealth's McGovern Center for Humanities and Ethics. Medical professionals are often faced with ethical dilemmas centered around medical error reporting. Doctors are faced with reporting their own or their colleagues’ errors while nurses, under the pressure of the hospital hierarchy, have to decide if they report doctors’ mistakes. Yang Gong, MD, PhD, SBMI associate professor, is addressing this dilemma by unravelling barriers to medical error reporting and finding technical solutions to encourage voluntary, confidential and accurate reporting. Gong said his study aims to spur inter-professional understanding of the obstacles to reporting and foster awareness that patient safety trumps all concerns. The monthly event provides an informal environment for students, faculty and alumni to engage in a breadth of current informatics topics while building an understanding of study design. 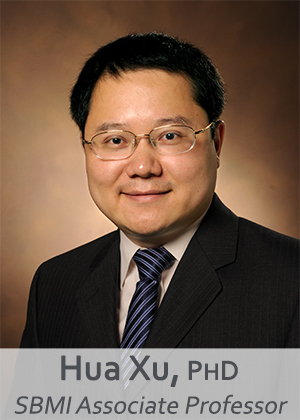 SBMI assistant professor Jim Zheng, PhD, is speaking at 9:35 a.m. Proper bioinformatics analysis of both research and clinical data plays an essential role in the medical field, and independent bioinformatics analysis serves to protect both investigators and future patients. This workshop will focus on techniques currently being used to analyze ongoing health research on campus. Susan Fenton, PhD, RHIA, FAHIMA, SBMI assistant dean for academic affairs, will discuss student misconduct, pending changes to academic policies and take questions from the students. This webinar will be facilitated by Anna Desai, manager of profession governance at AHIMA. Desai will identify techniques and strategies to help attendees build positive relationships. Questions can be directed to jessica.heraty@ahima.org. 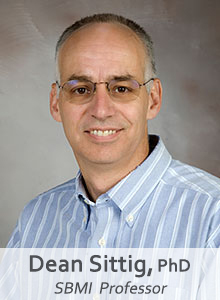 SBMI professor Dean Sittig, PhD, will present the closing keynote at the HIMSS14 patient safety symposium from 3:15 to 4:15 p.m. The 2014 Annual HIMSS Conference & Exhibition, Feb. 23-27 in Orlando, brings together 37,000+ healthcare IT professionals, clinicians, executives and vendors from around the world. All seminars are held from noon to 1 p.m. at the University Center Tower 7000 Fannin Street, room 1414, Houston, TX 77030. Individuals who are unable to attend in person can watch the seminar afterward by visiting the research seminar page and clicking on the seminar titles, which link to the recorded presentations. Past seminars recorded before January 2014 can be viewed on the School of Biomedical Informatics webcast. Seminar viewers and attendees are encouraged to fill out the seminar survey. Join the conversation! Follow the key points if you can't attend or tweet your feedback of the SBMI seminars: #SBMIseminar.